Spotify’s 2014 growth was little short of spectacular, especially its December surge. But it is still not enough to IPO on. Not because 15 million subscribers in itself is not a huge achievement – it is – but because the market place is holding its breath, waiting to see what Apple does. Apple remains the world’s largest digital music company and is on the verge of becoming the world’s leading shipper of smartphones. But most crucially Apple has the iTunes ecosystem and a deep, deep understanding of the world’s most valuable content consumers. If anyone can take subscriptions to the mainstream Apple can. And in the process it will likely take back a chunk of the iTunes Music buyers that Spotify ‘stole’. Which is not to say that Spotify will not be able to continue to grow, but instead that rapid growth will be harder when Apple is snapping at its heels. 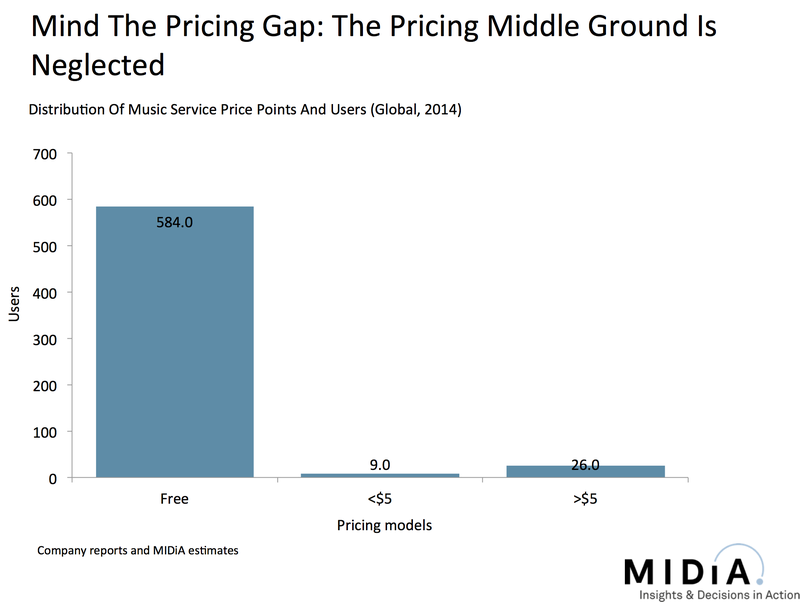 Pricing will be key, as will the role of free. If Apple succeeds in bringing the standard price point down to 7.99 (and perhaps a subsidised price point of 4.99) then a whole new swathe of users will be brought into the marketplace. 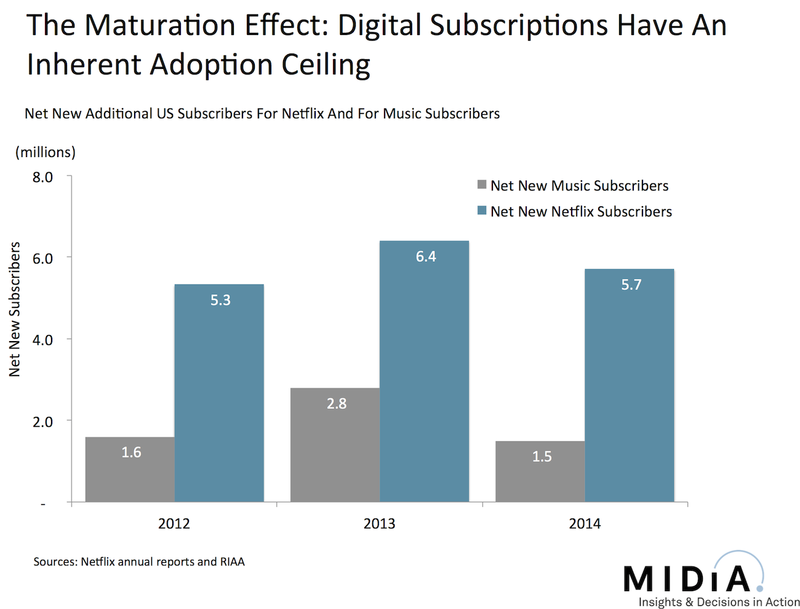 Still not the mainstream, but certainly getting towards the higher end of the mainstream that Netflix competes in. And certainly a bigger marketplace than the current one. 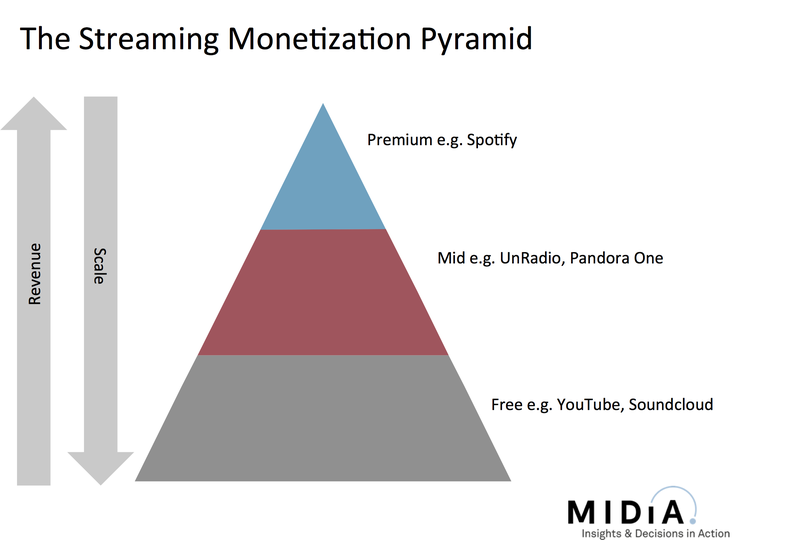 If Spotify finds its free tier heavily capped then it will lose much of its customer acquisition strength, which may force it to spend more heavily on traditional acquisition tactics like app marketing and TV ad spots. 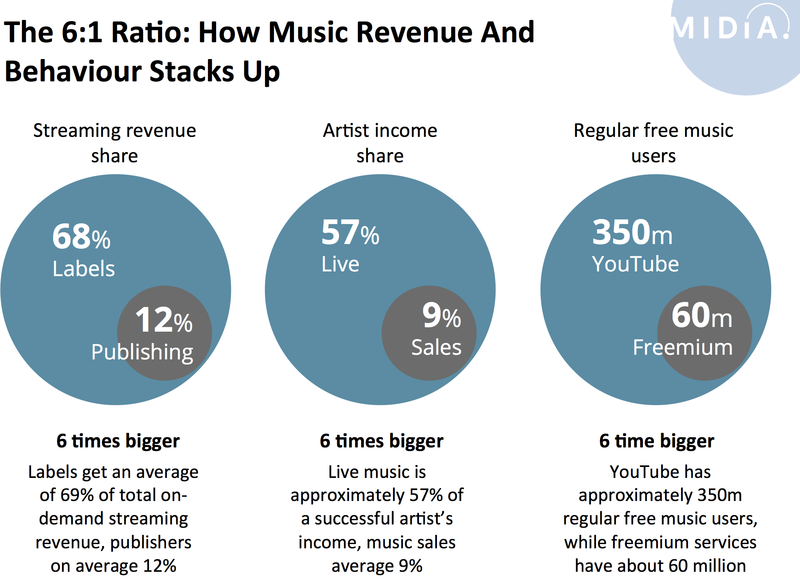 In this expanded marketplace a $500 million war chest would give Spotify the ability expand into new territories, double down on churn management and market in core markets. The intent will most likely be to weather the Apple storm and to be in solid enough shape the other end to IPO. As we have seen in the smartphone and tablet business, Apple can be leader but still leave plenty enough space for a vibrant and competitive marketplace. 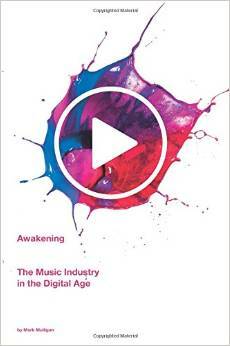 That is the scenario Spotify, Deezer, Rdio, Rhapsody and Jay-Z’s new plaything-to-be WiMP will be hoping for.